No executive office is complete without a personal bar close by so you can pour yourself a drink at the end of a long day, or for those casual business meetings that take place in the evening. The Ripley Office Credenza is the perfect piece of office furniture that offers that casual office look, but still maintains a professional feel. The bottom is all business with cabinet storage areas for your office essentials, while the top section offers plenty of bar storage with a stemware holder, bottle rack, and shelving for any additional bar accessories. Get your order started today by selecting your wood, finish, and hardware to design a look that perfectly matches your office decor. 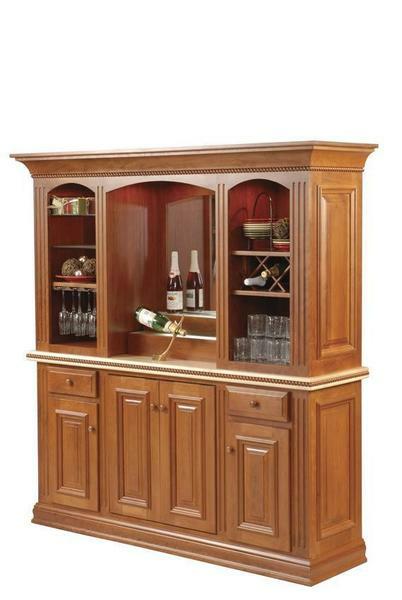 Give us a call at 866-272-6773 for additional information on this amazing Ripley Office Credenza and Bar combination.